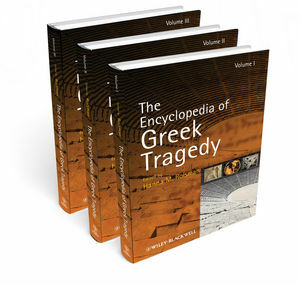 The Encyclopedia of Greek Tragedy is the first comprehensive reference work to cover all facets of the distinct form of dramatic theater that flourished in ancient Greece with its apex in the 5th century BCE. Hanna M. Roisman is the Arnold Bernhard Professor in the Arts and Humanities at Colby College. Her publications include Nothing Is as It Seems: The Tragedy of the Implicit in Euripides’ Hippolytus (1999), Sophocles: Philoctetes (2005), and Sophocles: Electra (2008).